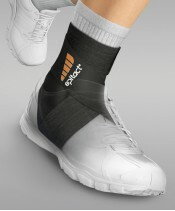 The ERGOstrap™ SPORT supports and stabilizes the ankle without impeding movement. Designed specifically for sports, the ERGOstrap™ SPORT fits all body types. Lightweight, extra thin and very comfortable, it can be worn in all types of shoes. EPITHELIUMTACT 02 Toe Caps have been specially designed for sports where the toes are susceptible to repeated shocks against the insides of footwear (hiking, running, etc.). 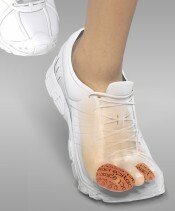 They protect the toes, relieve pain, and allow the wearer to continue activity while still performing well. 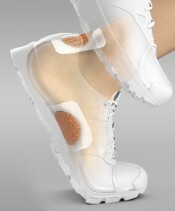 Soft EPITHELIUMFLEX® 02 Bunion Brace help in straightening big toes and limiting pronation, which optimizes propulsion. The quality of supports is critical when preventing sports injuries and to improving performance. The splints also help relieve pain from bunions, whether they have just started or are already well defined. EPITHELIUMTACT 01 Blister Prevention Patches can be reused 4 to 5 times on average and have been specially designed to protect sensitive areas of the foot (heel, lateral side, etc.) 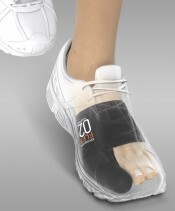 to prevent blisters. 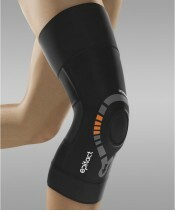 They protect the skin, relieve pain, and allow the wearer to continue activity and still perform well.